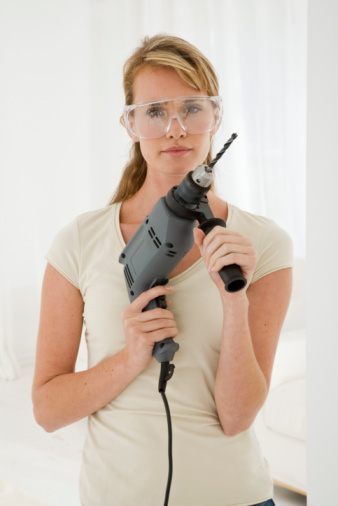 Selling unneeded or unwanted power tools can be a great way to make some quick cash when money gets tight. Pricing used power tools can take a little trial and error, but with a little investigation and forethought, you canl arrive at a fair price. Determine the current new price for the tool in question by either visiting a local tool store or looking it up online. Determine the condition of the tool. Excellent tools will show little to no wear. Good tools will have some wear but still function perfectly. Average tools will tend to look a bit worn and may have some chunks missing, but will function well. Below average tools will show extreme wear, and not all of the functions will work. Tools in poor condition will not work, despite the outer appearances. Determine the popularity of the tool and the availability of the tool on the used-tool market. Tools that are flooding the market won't command a high resale price, whereas tools that are hard to find will retain much of their original value. Set the price by considering the condition. A good rule of thumb is that tools in excellent condition will sell for 85 percent to 95 percent of the original cost, good tools 75 percent to 85 percent, average tools 50 percent to 75 percent. Below-average and poor-condition tools rarely command more than 35 percent of the original price. Modify the condition price by the availability and popularity of the tool. Highly sought tools may add an extra 10 percent to the sales price; a tool that can be purchased cheaply on just about any street corner may require a reduction in price by 25 percent or more.